The Kensington Condos in Provo Utah are BYU Approved. 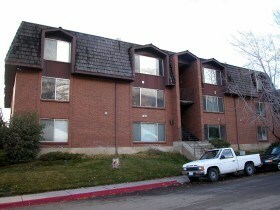 The Kensington Condominiums are located at 788 E 750 N Provo, UT 84606. The Kensington Condos were built in 1984 and has 12 units. These condos have not been typically FHA approved. Check with your lender to find out if the FHA status has changed. Kensington Condos in Provo Utah have underground parking and a BBQ area. I spent some time this morning looking at the historical data of the Kensington Condos on the MLS. The MLS or Multiple Listing Service is where us Realtors in Utah County post our listings. Once a listing is sold the sold price is recorded to the MLS. The earliest sold condo I can locate on the MLS for the Kensington Condos was in 1996. This condo sold for $95,000. The prices quickly climbed from 1996-2000 to $140,000 for a Kensington Condos in Provo Utah. The next leg up was from 2000-2005. Prices climbed to a high of $170,500 in 2005. The highest price recorded was $185,500 in 2008. Prices seemed to hover between $177k to $185 between 2005-2012. If you are looking for more information on more recent sold data regarding the Kensington Condos in Provo Utah contact Paul Teasdale of Team Teasdale Realty. Do You Want to Sell a Kensington Condo in Provo Utah? Contact Paul Teasdale if you are considering selling a Kensington Condo. Paul will visit your condo and give you a free opinion of your condos value. If you would like to list your Kensington Condo in Provo Utah with Team Teasdale contact us. 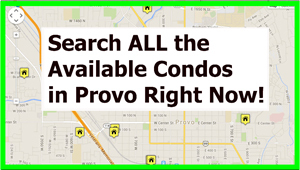 Do You Want to Buy a Kensington Condo in Provo Utah? If you are looking to buy a Kensington Condo contact Paul Teasdale of Team Teasdale Realty. Paul graduated from BYU many years ago and is very familiar with the off-campus condos around BYU. Paul will let you know if any Kensington Condos are currently for sale. If Paul is unable to locate any Kensington Condos for sale he will suggest other similar condos in the Provo area.